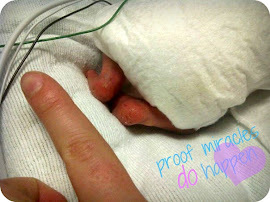 Hannah was born at 29weeks4days and all though she was born at 29w4d she was the size of a 24week baby. She had stopped growing in at 27weeks due to uneven placenta share, caused by unequal splitting of the egg. On April 16 2011 ultra sounds showed that Hannah was in distress.. There was reverse flow going in the umbilical cord from Hannah she needed to be taken out immediately. Hannah was born with a PDA,a few PFO's, a large a medium and a few small VSD. She acquired NEC 2 weeks after birth causing her to loose a 3rd of her intestines. She had an Ileostomy for 4 months before they could reconnect her bowel. Hannah was finally stable enough for surgery in august 2011(4 months old). The first was PDA ligation, it went so well she was able to go on Cpap for the first time! The second surgery was a week late, she had her Ileostomy closed and a Gtube put in. 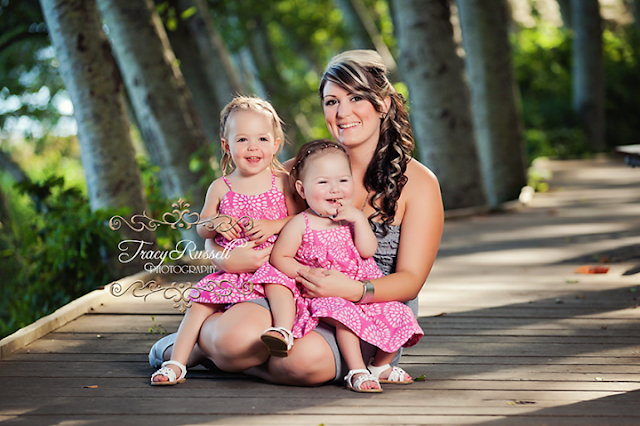 In October 2011 Hannah was finally ready for open heart surgery to close her large VSD! The surgery went fantastic no problems. She was able to breath on her own with no oxygen for a month and the planning for home started. January 2012 we were sent to a smaller hospital closer to home, she was on low flow. Our stay at that hospital was 5 days long ending with them flying her back to the Children's hospital. The doctors saw nothing wrong with Hannah so in February they sent us back to the smaller hospital. Once again we only made it 5 days before sending us back to the children's hospital. The doctor at the smaller hospital said we were being sent back for the same reasons we were sent back last time high Co2. This time the doctors did know something was wrong, she was put on Bipap that was promised to be only for a few days. Her gtube was changed to a gj tube and all oral feeding was stopped. Hannah was then intubated a week later as well as catching pneumonia. Once she recover from pneumonia she was then on bipap for a week, intubated for a week.. repeating its self. They performed a Bronchoscope to get a better look at her lungs and vocal cords. The left lung showed damaged and the left vocal cord seemed to be paralyzed. She was given a tracheostomy in April(just after her first birthday). It is now 4 months after Hannah got her tracheotomy and she is able to come off the ventilator for 2 hours 3 times a day and is using a passy muir valve to strengthen her vocal cords. Hannah can stand and almost walk on her own, she can sign some words and is a very happy little girl. I am amazed every day with her progress and am so happy she came out developmentally ok. She still doesn't eat food but her oral aversion is improving every day!!! So good I have to keep track of my nickels and dimes. Oh baby hannah! what a wonderful baby she is and what a strong woman she will make. Proof of a beautiful life! Beautiful girls! My step daughter was 27 weeks and had many of the same struggles. She is now a beautiful 16 year old getting As and Bs in school. Congrats on a beautiful family!